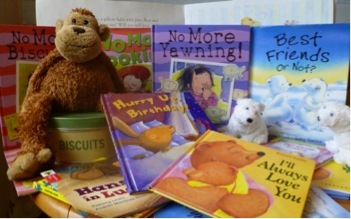 Can you believe it, The Picture Book Den is now three years old? 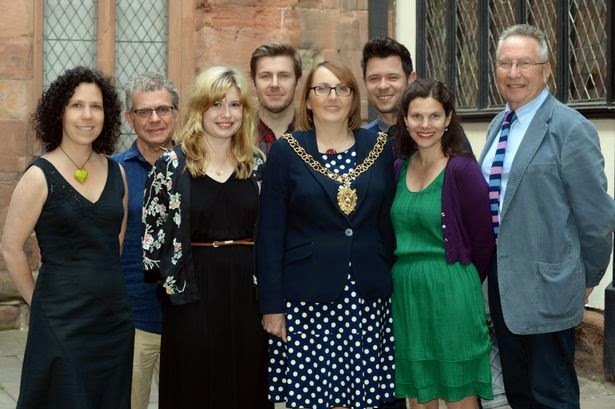 In order to celebrate our birthday and to usher in the New Year the team decided it would be fitting to share what we've achieved during 2014, what we hope to achieve and have planned for 2015. So here it is. We hope you enjoy. Although 2014 was not my most constructive year for landing contracts I'm pleased with the fact they I had two books reach the shelves. The first was in February. 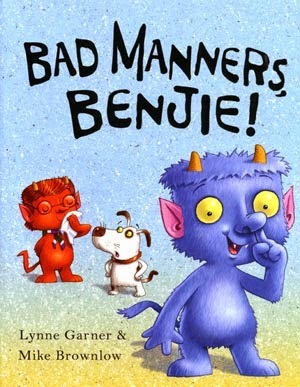 It was the second picture book to feature Boris and Dog with their new friend Benji (Bad Manner Benjie!). My second book was completely different and was released in November. 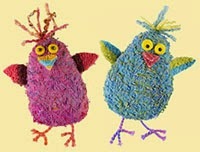 It is aimed at those who work with children in the early years sector and is called 'The Little Book of Print Making.' It was great fun to write, as I had to get my hands dirty to ensure the instructions were correct. So lots of messy 'play.' Sometimes this writing lark is a hard job. Unfortunately I don't have any books due for release, however I intend to change that. I have a small library of manuscripts completed, which over the coming months I'll send out to publishers. I also have a few ideas for new stories and plan to start the process of plotting, writing, proofreading and editing in January. Once they've seen the red pen of the Picture Book Den critique team I'll send them on their way. It’s slightly ironic that I joined Picture Book Den in 2014 as I’ve had no new picture books published this year, just new editions of previously published titles. 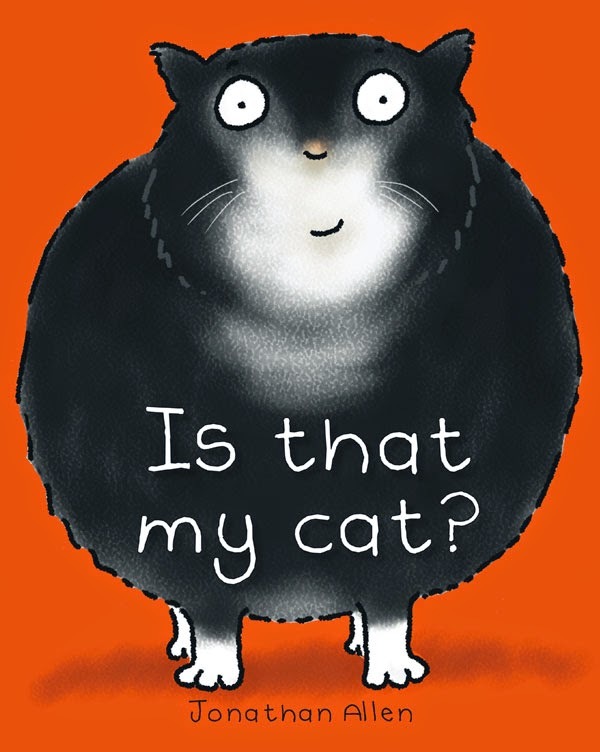 However I have three (or possibly two and two-thirds) brand new picture books coming out in 2015. 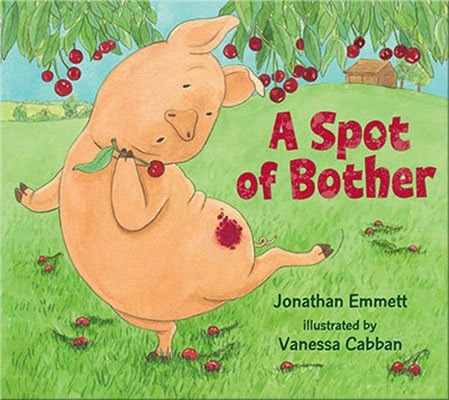 The first of these is A Spot of Bother illustrated by my longtime collaborator Vanessa Cabban and published by Walker Books. This is a follow-up to The Pig’s Knickers and features the same cast of characters including the rather self-centred Pig. In this story Pig is horrified to discover that his spotless appearance has been spoiled by a cherry stain. His friends try to help, but the more they try to clean the spot, the bigger it gets. This is the seventh book that Vanessa and I did together and I'm extremely sad to say that it will be our last as Vanessa passed away shortly before Christmas. She was a wonderful person, funny, mischievous and forthright, and a terrific illustrator to work with and I will miss her greatly. Next up is The Clockwork Dragon. 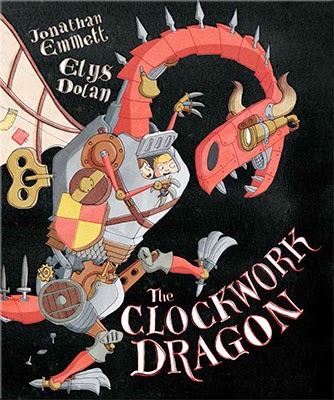 This book might only be described as two-thirds new because it’s a reworking of Tom’s Clockwork Dragon which was published in 2008. 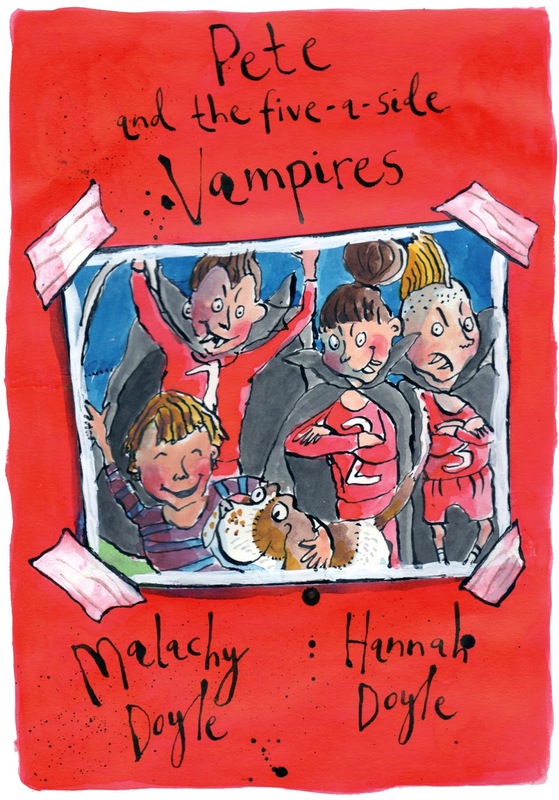 Unfortunately that book went out of print quite quickly but Oxford University Press decided that the story deserved a second chance and asked me to write a new draft which has been illustrated by Weasels and Nuts in Space creator Elys Dolan. Elys has a great flair for whimsical detail and, as well as completely reinventing the dragon, has populated the book’s illustrations with a supporting cast of wonderfully wacky characters. I've already written a second story featuring the book's young heroes Max and Lizzie so, if this book proves popular, they could be back with more clever clockwork contraptions. 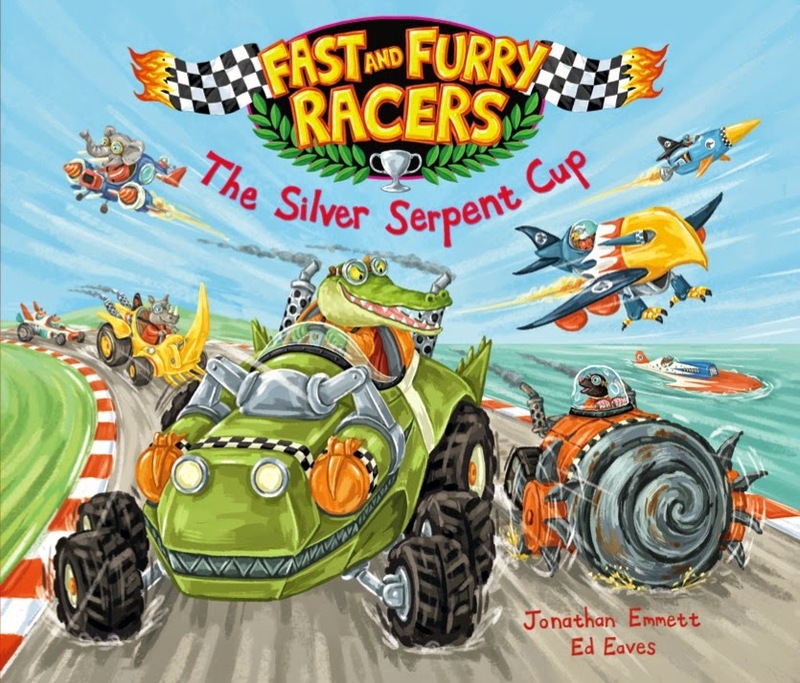 And lastly, there’s Fast and Furry Racers: The Silver Serpent Cup, also published by Oxford University Press. This book is illustrated by Ed Eaves and the story was inspired by a set of souped-up vehicle models that Ed made several years ago for his college degree show. Ed sent me some photos of the models and suggested that they might plant the seed for a story – which they did. The Silver Serpent Cup is a rhyming story about a no-holds-barred race between a motley assortment of animals in an equally motley assortment of vehicles; cars, planes, boats, submarines – there’s even a tiger racing in a train. We’re hoping it will be the first of a series of Fast and Furry Racers books. 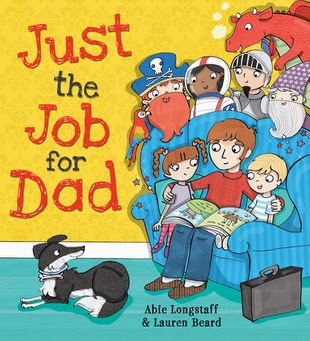 as well as Just the Job for Dad. I did a loads of events, which was fun but exhausting! 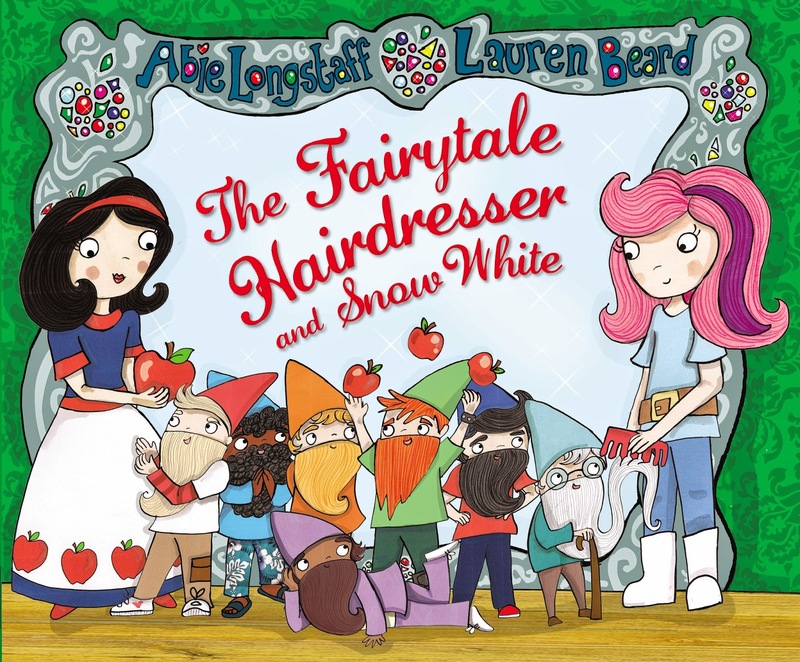 Next year there will be two more Fairytale Hairdresser books (The Little Mermaid, and The Sugar Plum Fairy) and a new picture book with Scholastic. There will also be a brand new series, which I am really excited about. It's called The Magic Potions Shop and it's a chapter book about an apprentice who gets himself in all kinds of trouble learning to make potions (it was really fun to write!) There are 6 books in the series, so bring on 2015! 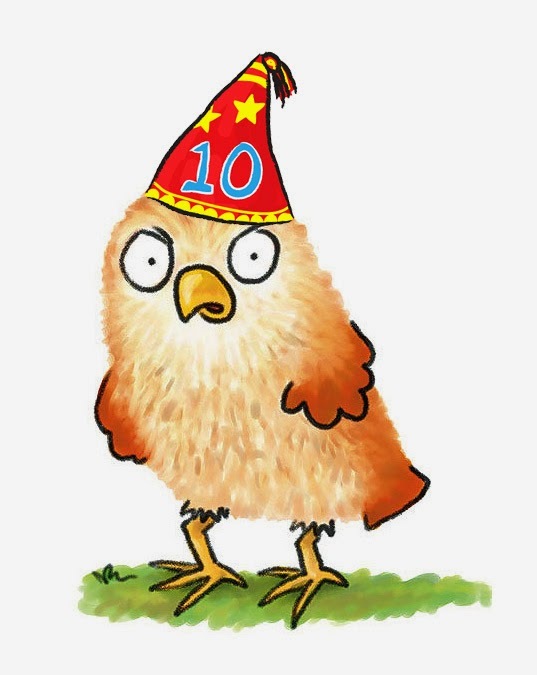 Next year sees the ten year birthday of Baby Owl! It was ten years ago that I took my idea (I'm Not Cute!) to see David Bennett at Boxer Books, (which also has its ten year birthday next year) and was told that he liked it, but I needed to make the drawings younger and softer. 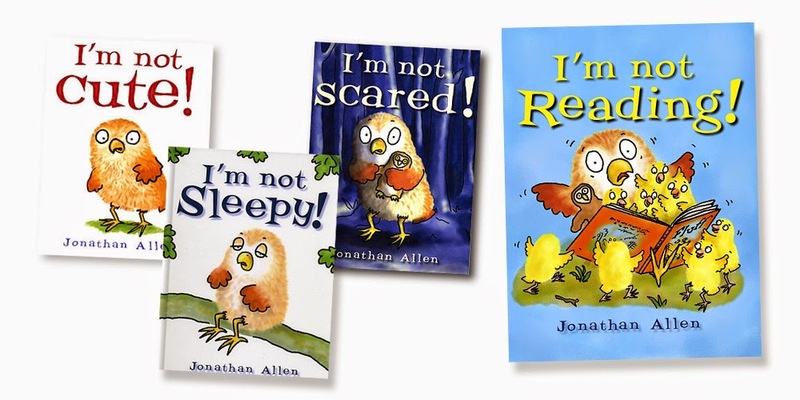 It was the start of a fruitful partnership, and a series of six "I'm Not" books over the years, (Cute, Scared, Sleepy, Santa, Ready and Reading) and several other titles. I now know what 'I'm Not Cute!' is in at least eight languages ;-) Well, I would if I could read Japanese or Chinese. .
Also, Boxer are publishing 'The Little Rabbit Who Liked to Say 'Moo!'' 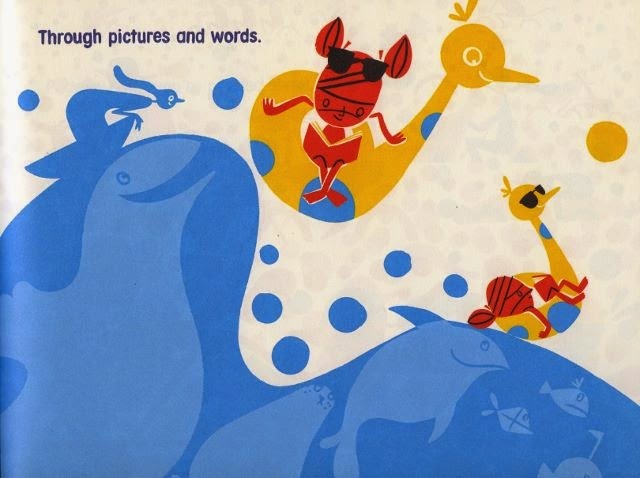 as a board book at some point in 2015, which is nice because it's a book that works very well with the very young. Of course in 2015 I will no doubt think up a major best seller, become a millionaire and live happily ever after. . . Oh yes. . . Have a great new year won't you? ... and a Green Banana early reader book beautifully illustrated with clarity and humour by Amber Cassidy. 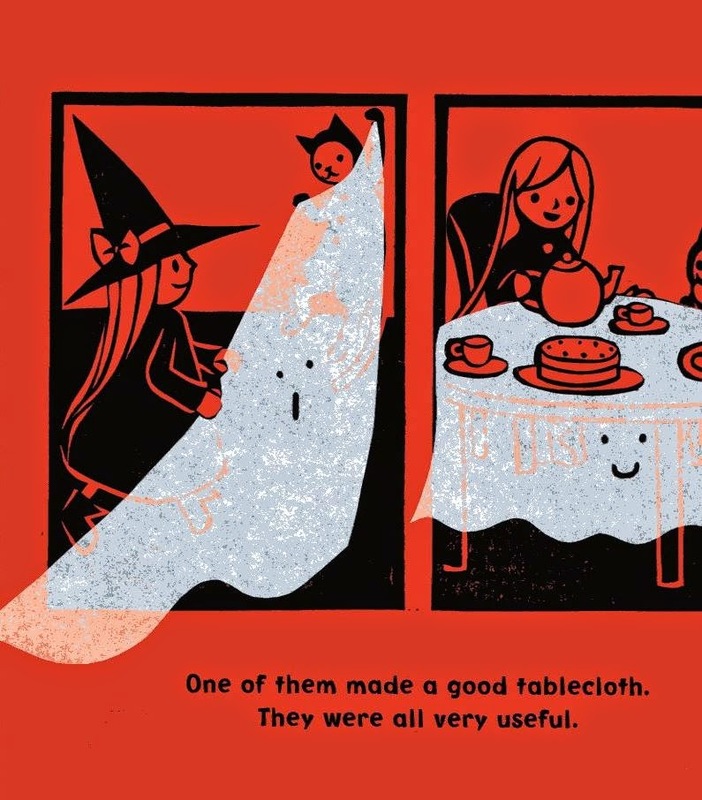 But there ARE new picture books by me on their way to publication, as well as more Winnie the Witch stories and early reader books. I can tell you that there's one that is being illustrated at the moment by brilliant Sam Usher, and there are others that the publishers don't want talked about yet... Watch and see. 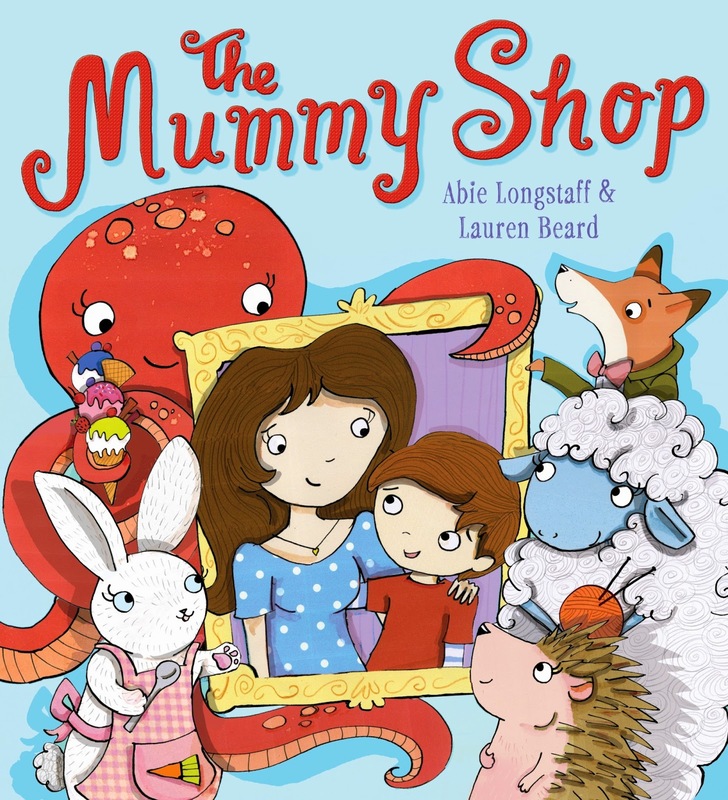 2015 looks very exciting - 10 books are due to be published, including two picture books and four toddler board books . I'm hoping a new picture book series will get past the gatekeepers, and I've been invited on a school visit of a lifetime to China, and have another grandchild due in March. Life's not always a bed of roses, and I don't take any of this for granted. I feel very privileged that I continue to earn a living from writing. Warmest Winter wishes and Happy New Year, Picturebookdenners! May your year be full of good things (in between the rejections), too. 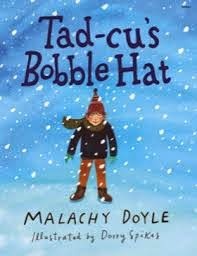 2014 brought my first from Parragon Books (Peek-a -Book, with Rowan Martin); my first with my daughter Hannah and with Firefly Press (Pete and the Five-a-Side Vampires); and my 100th book (and first about death, sort of) Tad-cu's Bobble Hat, with Dorry Spikes. 2015 brings my second, third and possibly fourth from Parragon: The Nose that Knows, with Barroux; Sleepysaurus, with Hannah George; and Hide and Peek, with Rowan Martin again. It also brings The Beast of Belfast, an illustrated storybook from Poolbeg Press, with Derry Dillon. There are other pans in the fire, but we shall see. 2015 also promises my second grandchild, the wedding of my one-and-only son, and my very first venture east of Europe - a trek in the Himalayas. Quite enough excitement for one year - and may you have an exciting one too! 2014 - Where did it go? Was I in a timewarp, one of those films where someone returns home at the end, to find that only a minute has passed? I wrote what seemed like an unending line of books - about Anglo-Saxons and the Stone Age, about feelings, about the human body, about Halloween, about the weather....My first poetry for children will be published by Harper Collins in 2015, and hopefully my first picture book in a while - currently with the title 'I Saw A Shark'. I've got board books coming out, too, with UK supermarket M & S. It's all a bit of a mix and it's all very unpredictable. That's what it's like being a professional author for children. Being a freelancer: I complain a lot when it's all a flurry, but when it's not, I start to worry. Sorry I can't show you covers. I've left it too late to ask permission and the publishers have all gone away to their Christmas castles, where their butlers are now serving them their Xmas cocktails and lobster bites on golden sticks. But I think it's OK to share one of the Harper Collins poems, which were written about weather. I’m going to be really naughty. 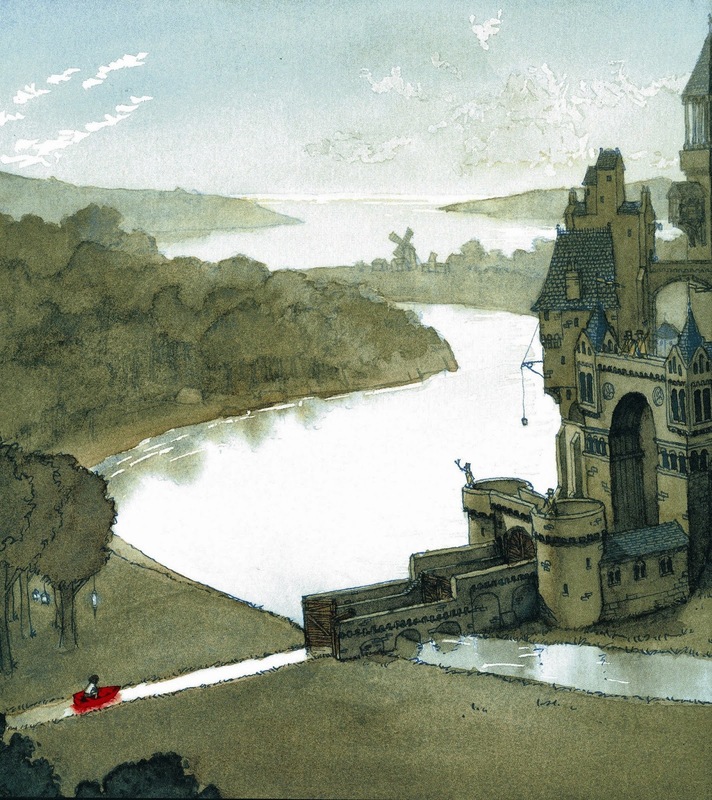 As a writer I know that illustrations and narrative work together in picture books. However, for a change I’m going to ignore this and instead I’ll look at the illustrations in isolation. Below you’ll discover lots of illustrations that have piqued my interest (scanned with my slightly dodgy scanner – apologies) . They’re from children’s picture books I've bought in 2014. There’s something about each illustration that has grabbed my attention from the point of view of a fledgling artist (very fledging – I’ve only just hatched). I admit it’s a personal list and my choices reflect the direction of my own art. Even so, perhaps I’ll inspire you to look again at illustrations. My first choice is a little eccentric. 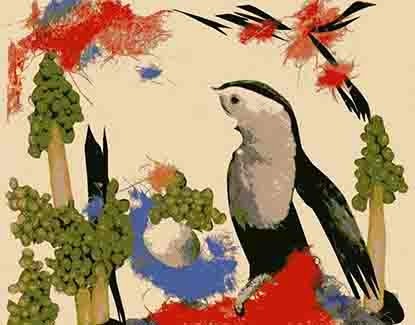 It's a book produced in 1945 by the only woman in the German Dada art movement, Hannah Höch (1889-1979), and a pioneer in collage. 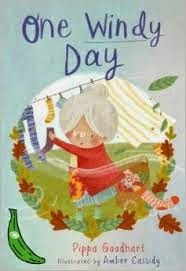 Not even seen by the public until 1975, her children's picture book has been republished and as an adult I find her collages compelling and bursting with fun, although I ignore her whimsical rhymes. Returning to 2014 and in Suzanne's Barton's The Dawn Chorus there's a subtle integration of paint and collage. 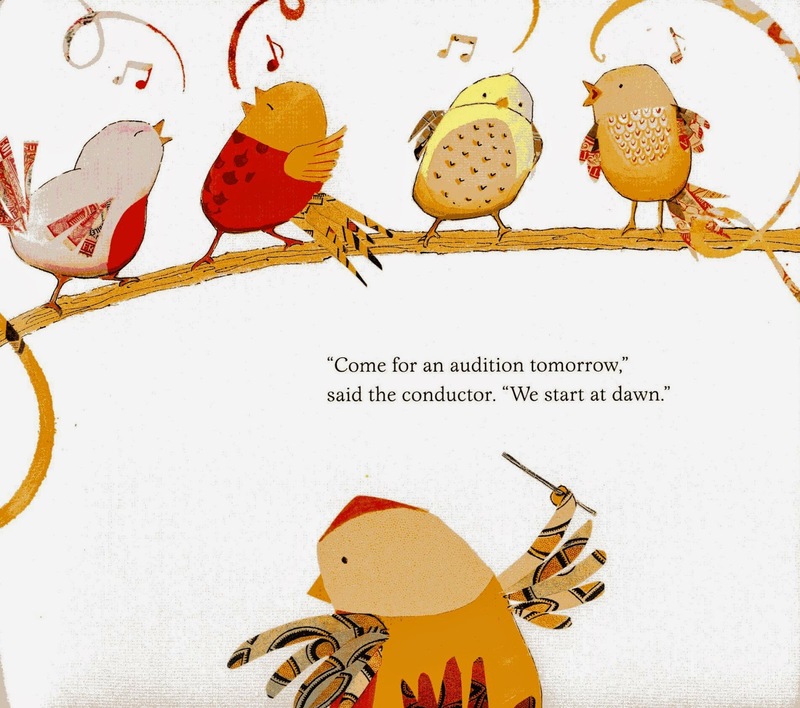 What caught my eye was the use of collage in the leaves, feathers, musical notes and curling lines of song. In another mixed media book, Just Right for Two, Rosalind Beardshaw uses collage in a similar way in the leaves, plants, trees, and even to divide between a few illustrations (good idea). Plus I like the teasing silhouette of the mouse - lovely visual foreshadowing. 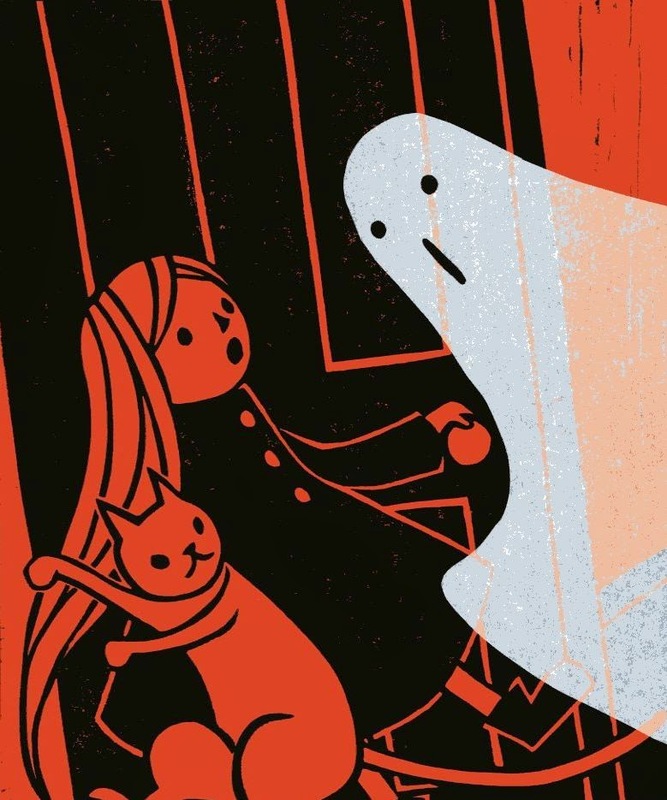 In The Haunted House, Kazuno Kohara produces simple mixed media images to eye-catching effect. I assume she has used black ink printing on orange paper and added tissue overlays. I love it, and the original story too. The next book is the opposite of simplicity: Bear Hug by Katharine McEwen. I'm not an expert, but to me she appears to use harmonious colours in a similar tonal range to bring together detailed stylised images. Even though it's visually busy, I'm drawn to the illustrations and the snowflakes are a lovely touch. Plus I've been thinking about the portrayal of water in art and I find the wavering blue lines of the stream appealing (a Hockney influence?). 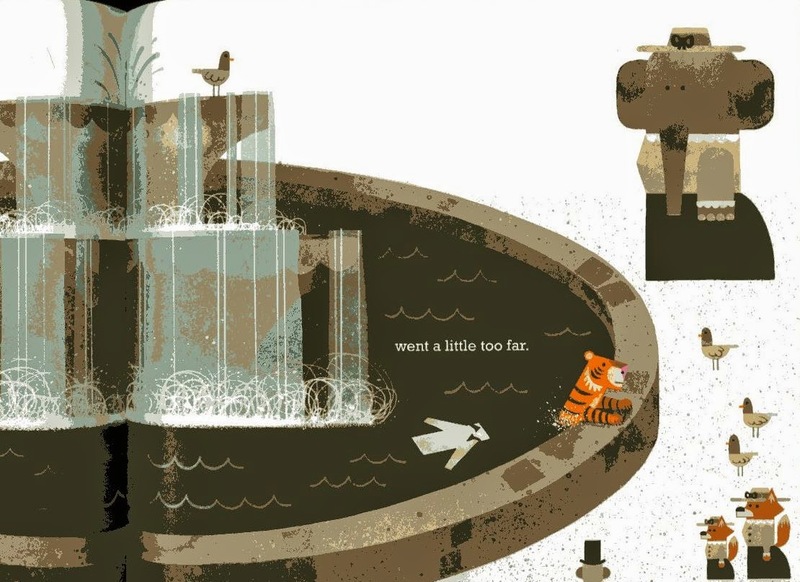 Several illustrations in Mr Tiger Goes Wild by Peter Brown also use lines in an interesting stylised way to illustrate the movement of water. I particularly like the sketchy spirals of 'foam'. 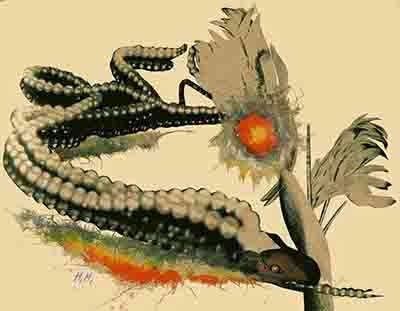 Whilst in The Best Book in the World by Rilla, the movement of ocean waves is cleverly shown by the curve of the sea creatures. This book also has gorgeous bold endpapers - I'm a bit of an endpaper groupie! I can't resist showing one more example of water. 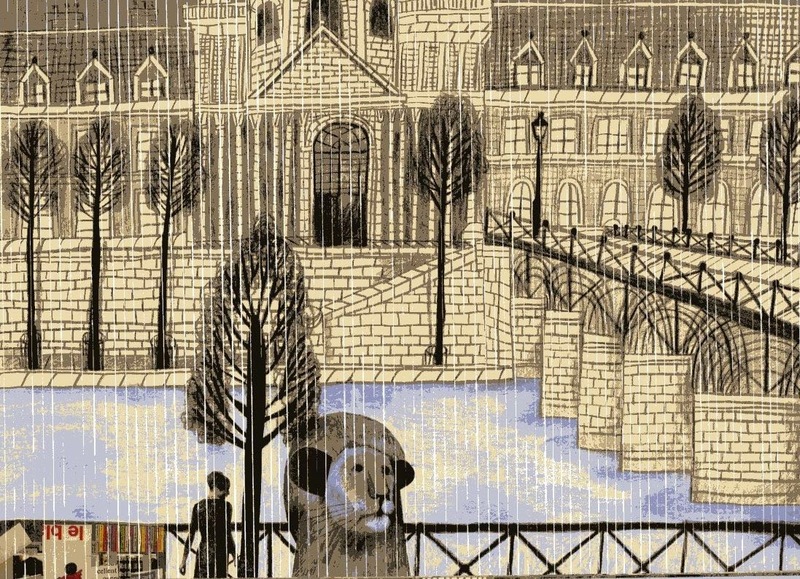 This time it's from the huge A Lion in Paris by Beatrice Alemagna. Vertical broken white lines effectively simulate rain. 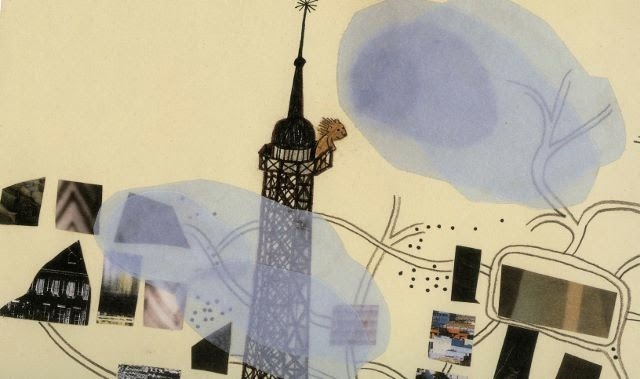 Other inventive ideas are found in the 'arty' A Lion in Paris and I adore the stylised map, collage, and tissue (?) overlay clouds which feature in the excerpt below of a 'lion's eye' view of Paris (I can't show the whole page because the picture book is almost A3 and won't fit on my scanner). Another artistically innovative book is the Yes. Written by Sarah Bee and illustrated by Satoshi Kitamura. 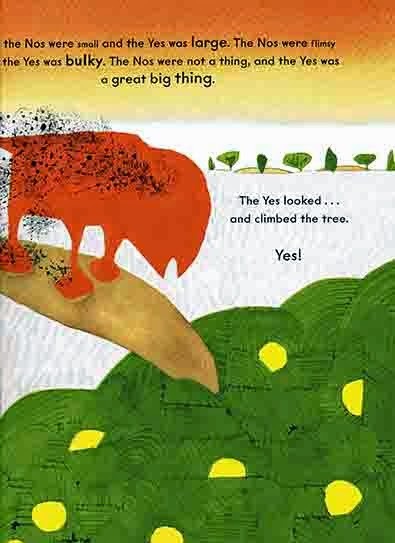 The main character is an orange blob creature called 'the Yes' who wants to escape 'the Nos'. 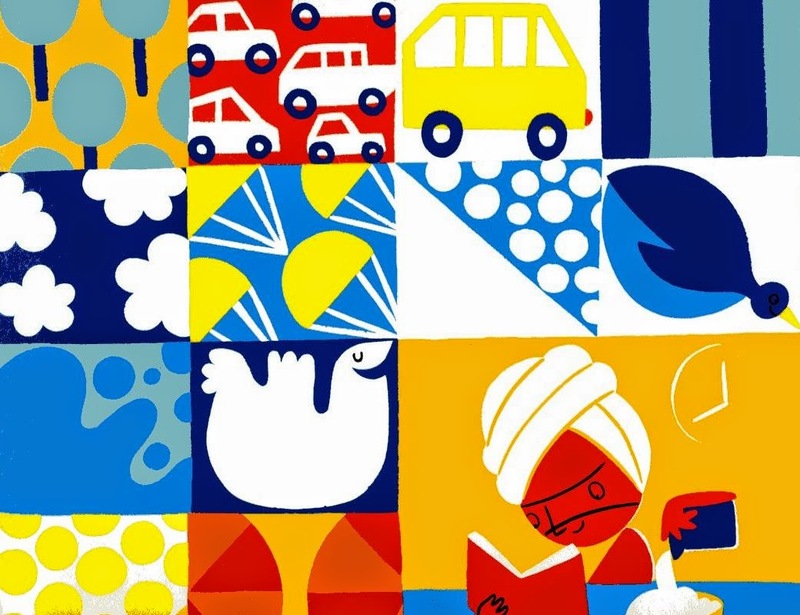 I was transfixed by some of the almost semi-abstract illustrations that reflect the semi-abstract concepts of 'yes', 'no' and a place called 'Where'. Even with the huge blocks of colours, there is enough realism for the book to be easily understood by a child (and adult too - we're not always as visually literate as children!). 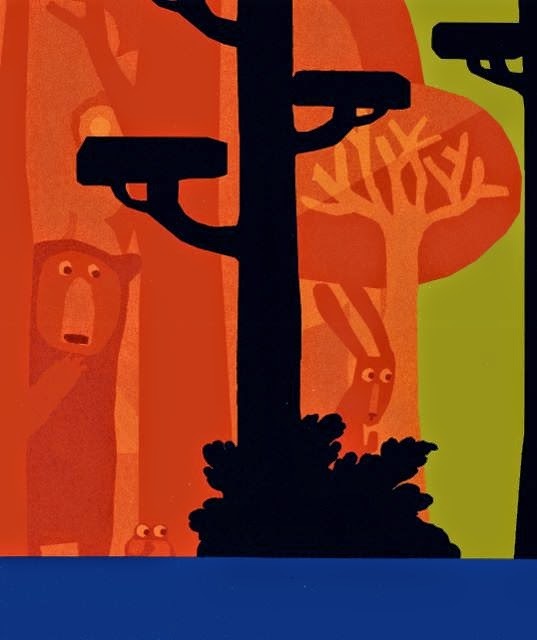 A bold use of shape and colour is also seen in the contemporary, but more conventional Where Bear? by Sophy Henn. 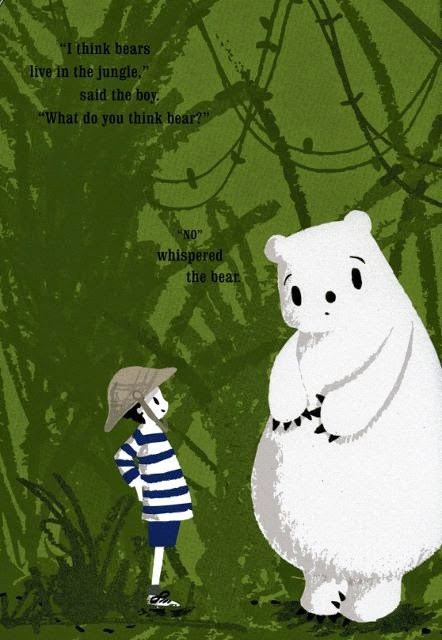 Strong contrast and simplicity bring alive the friendship between the bear and the boy. 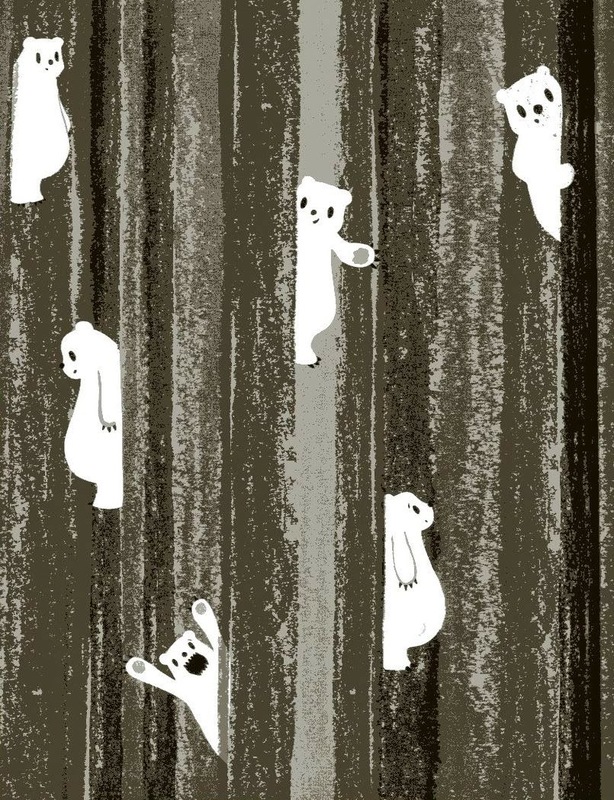 Plus the endearing endpapers of the hardback always make me grin. My only niggle in this book concerns the commas, or lack of them. I want to add a comma after the 'where' whenever I read lines such as: "Then where bear?" asked the boy. I even want to add a comma to the title! Anyway, I still adore this delightful book and I'm not supposed to be discussing the words. 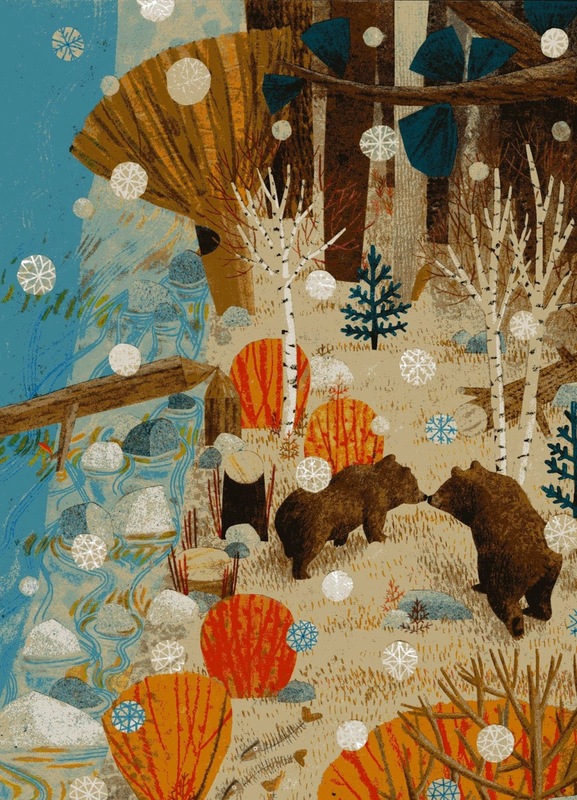 The use of white was particularly eye-catching in Where Bear?, whilst it's the traditional artist's red that is used in the painterly The Journey to draw our eye to key images in the beautiful illustrations (a red crayon, door, boat, air balloon and magic carpet). This is a wordless story by Aaron Becker and therefore being able to interpret the narrative of the paintings is essential - without the touches of red we might be confused. 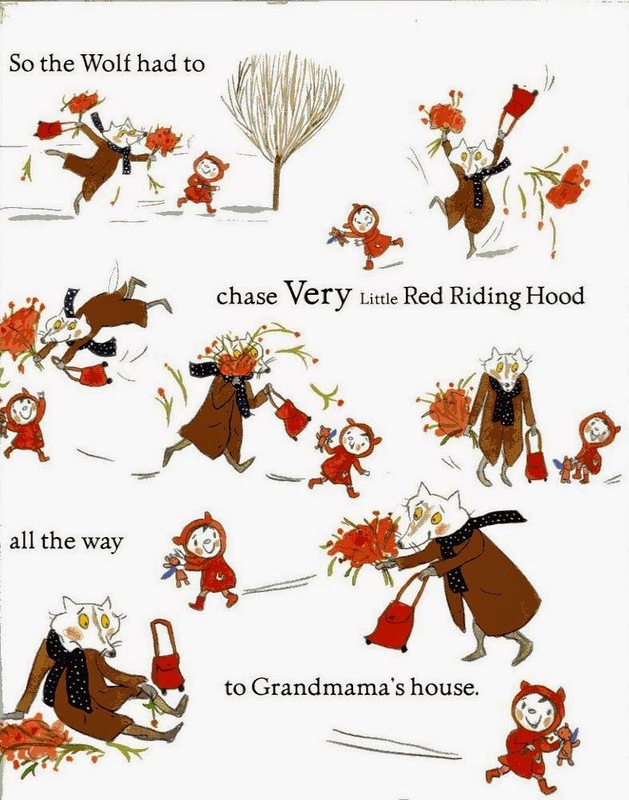 Red is also used in another book: Very Little Red Riding Hood by Teresa Heapy and Sue Heap. In this story it's obvious why red is important, although here it's used in a fun way to emphasise objects belonging to the little girl such as the teddy bear, hair clip, bag and flowers. The page below also illustrates the delightful use of vignettes to show actions and the passing of time in a restricted space. Plus I like the loose lines and flow of these drawings. Oh, and the endpapers have a red and white map of the route to Grandma - I'm a map groupie too! Another way to use colour to guide our interpretation of a story can be seen in The Wonder by Faye Hanson. Here, sephia tones indicate the everyday mundane world of the boy, and in contrast bright vivid colours are used for the boy's fantasy world. Below is an early glimpse of the fantasy world before full colour takes over entire pages. The effective use of colour isn't always blatant, as I saw in an advance copy of Roo the Roaring Dinosaur by David Bedford and Mandy Stanley. 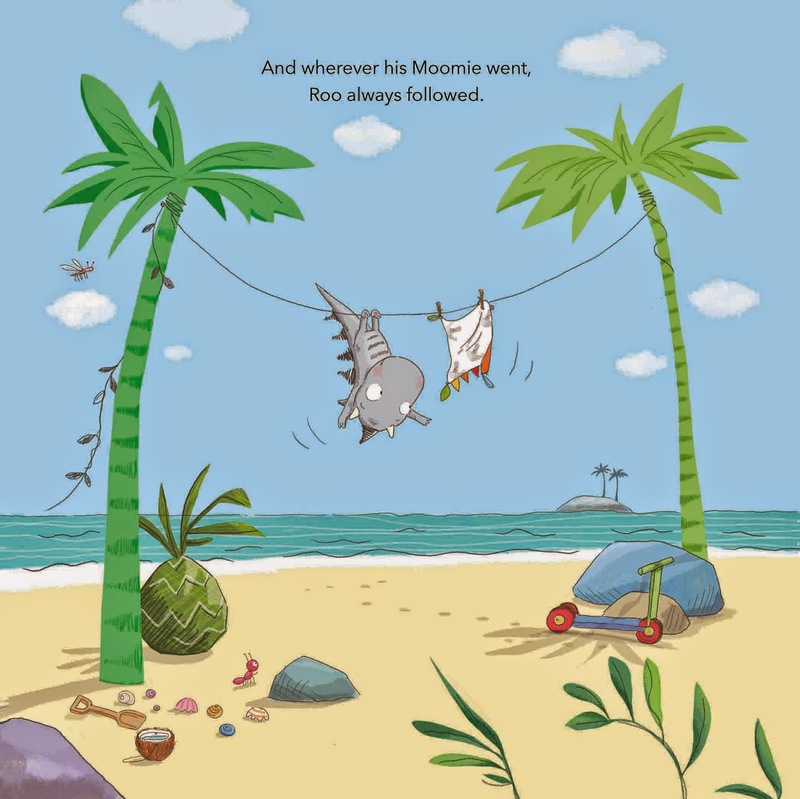 For example, below we see the use of sunshine/beach colours and I think this provides a gentle surprise because it's not the visual palette we normally associate with dinosaur books. It adds a subtle, light freshness, especially when combined with a beach setting that's not typical of dinosaur illustrations. Finally, for total in-your-face dramatic use of colour, there's author/illustrator Chris Haughton. I adore his use of tones and colour contrast. His simple sophistication is so effective, though it would lose its impact if too many books looked similar. In the image below we see the creatures hiding in the forest - we know they're hiding because they blend into the orange tones. Phew, this has turned into a long blog post and I've only taken a superficial look at art in illustration. 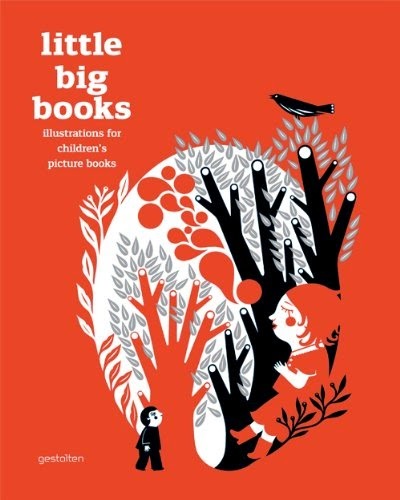 If you'd like to see a wide selection of images by illustrators of children's books from around the world then apart from visiting libraries and bookshops you could dip into Little Big Books (Gestalten, 2012) which is a great hardback reference book of 'arty' illustration, although disappointingly it doesn't give the medium for each image. 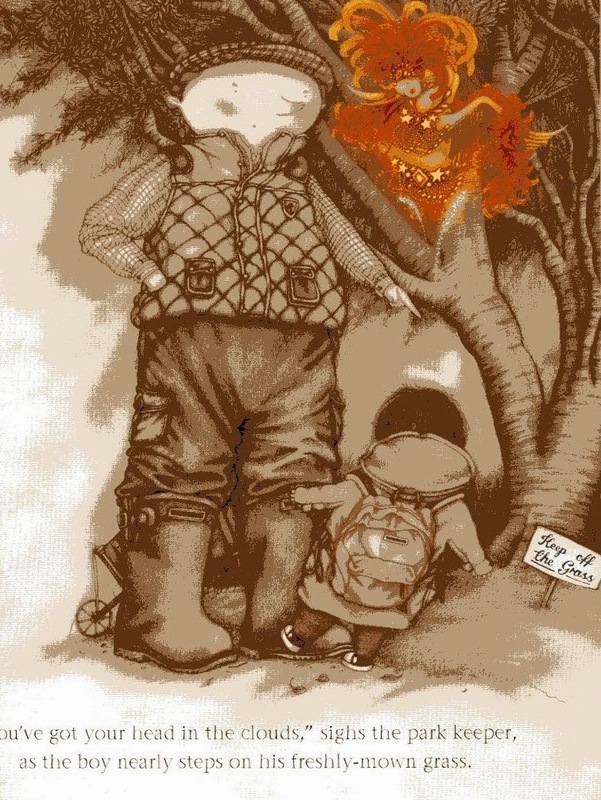 Maybe I've inspired you to look further at the 'art' in illustrations in children's books? Maybe not?! If you have any suggestions or observations then I'd love to hear them. Thanks! 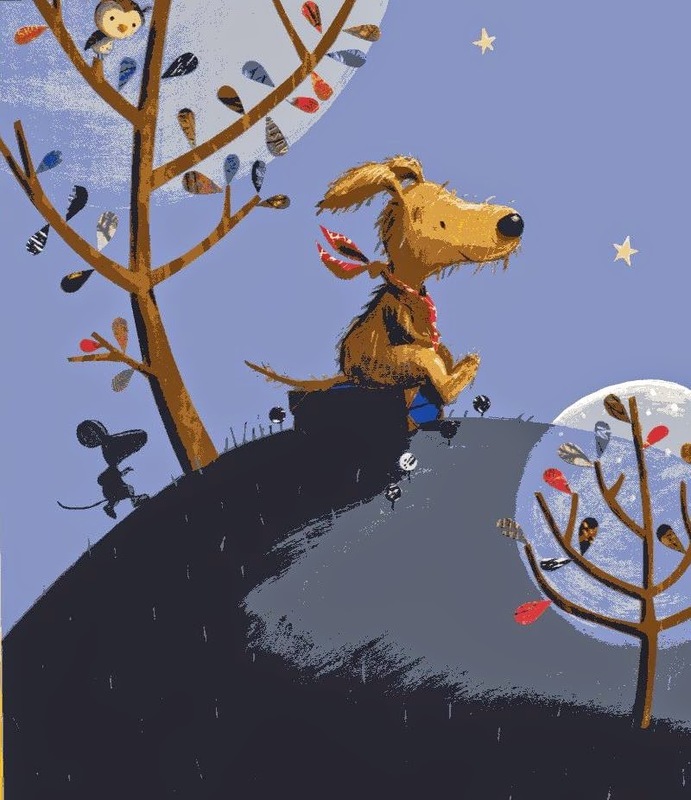 PS In this blog post I've deliberately not included members of the Picture Book Den even though they've produced some glorious books. Therefore please don't miss the next blog at the Den, which will look at members' forthcoming books for 2015. Far away and long ago, a father and his three daughters lived in a big house with servants, fine furnishings and plentiful food. The girls had to find food and fuel wherever they could for free. The three girls went out into the winter wood. The berries had been peck-picked away by birds, so there was no food to take. All the girls found were some sticks on the ground, which they bound into bundles and carried home. “At least we can have a fire and be warm,” they said. They lit the fire, and they hung their wet stockings to dry. They went to bed, empty of food and almost empty of hope. But a kind man called Nicholas had seen the girls searching the woods, and he knew of their father’s troubles. Nicholas wanted to help, but he was shy and he was modest, so he decided to help them in secret. In the still darkness of mid-winter night, Nicholas came to their home, quietly carrying a present of gold. He pushed at their door, but it was locked. So Nicholas climbed up the house, and he tipped his present of gold into the house ……to fall spinning, spilling down the dark to chink and scatter and glint on the hearth below. Some of the coins landed softly into the girls’ hanging stockings. 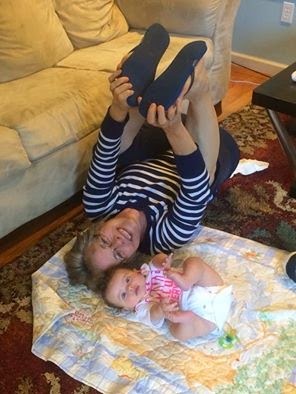 In the morning the girls tried to pull on their stockings, and they found gold in the toes! They found gold on the floor! They wondered where in the world that gold could have come from. The present of gold paid for the oldest daughter to marry into a comfortable home. 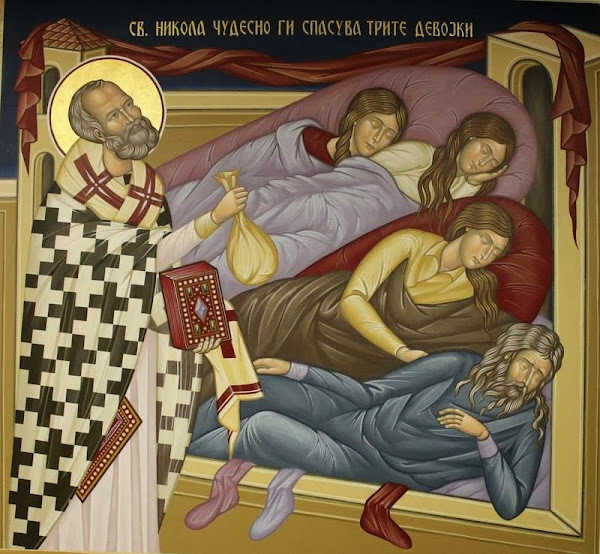 The following mid-winter, Nicholas came again in the night to pour a present of gold into the home where the father and two daughters lived. So the second daughter was married. And the following mid-winter Nicholas came again with gold. But this time the father wasn’t asleep. He wanted to know how those presents of gold appeared in his daughters’ stockings each year, so he stayed awake to wait and watch. He thanked Nicholas for saving his daughters from hunger. But it was such a wonderful secret that it soon burst out of the father! At the wedding party for his youngest daughter the proud old father told the crowd how Nicholas had come and dropped mid-winter presents down the chimney for his girls. Every wedding guest took that story home with them. They told friends and they told family … who all told their friends and families too. The story spread out through the world and on through time. It still lives so strongly, seventeen hundred years later, that it magically lives again every mid-winter night when Nicholas comes to me and he comes to you to put presents down our chimneys and into our stockings. But these days we call him Saint Nicholas, Santa Claus, just Santa, or Father Christmas. Happy mid-winter's day (and night!). To keep Mr Wolf from my door I’ve been compiling fact books this year, and writing history books, too, as well as creating board books and picture book material, and even writing poetry. So my bloggy Xmas present to you reflects my eclectic year. It’s a lucky dip of facts to be enjoyed with a seasonal glass (or mug) of something warming to hand. I may use it as my excuse to decant my home-made damson gin, just to see if it's ready for Santa. Anyone can take me captive and cut off my head. Then I make them cry! If you are ever asked to write some unattributed work here's an idea from Cynewulf, a monk from the 800s who was the first English author that we know of to write his own name on his work. He interwove symbols representing the letters of his name into the manuscripts of his religious poems. ‘The pictures of all the chief things that are in the world, and of men’s employment therein’. The earliest recorded lullaby is: ‘Lalla, lalla, lala, aut dormi, aut lacta’ - meaning lala, lalla, lalla, or lie down, or milk. It was set down in an Ancient Roman manuscript, as sung by a Roman nurse. Online retailer Amazon made J.K. Rowling's ‘The Tales of Beedle the Bard’ the world’s most expensive children’s book when it bought a copy at auction for £1.9 million. I wonder what they do with it. Do they read bits out at management meetings, I wonder? Is it trapped in a glass case, to keep it away from children? Oh the irony ... etc etc. People are always claiming different historical meanings for children's nursery rhymes. The village of Kilmersdon near Bath, where I live, claims to be the home of the nursery rhyme Jack and Jill, for example. The story goes that a local unmarried girl got pregnant (presumably somewhere up the hill). Then her lover, Jack, was killed by a boulder that fell on him at the local quarry. Jill had the child but died and the child was raised as ‘Jill’s son’ (Gilson is a local surname). However, apparently this could all be nonsense and the rhyme could be to do with Charles the First slapping tax on a half-pint of ale (once called a 'jack’). It could be none of the above, frankly, but the village claims it, so there. You can walk up ‘Jack and Jill Hill’, tumble back down and then go and have a half in the local pub, so everyone’s happy. “Proper job,” as they say around these parts. Here's a photo of the front of our office. 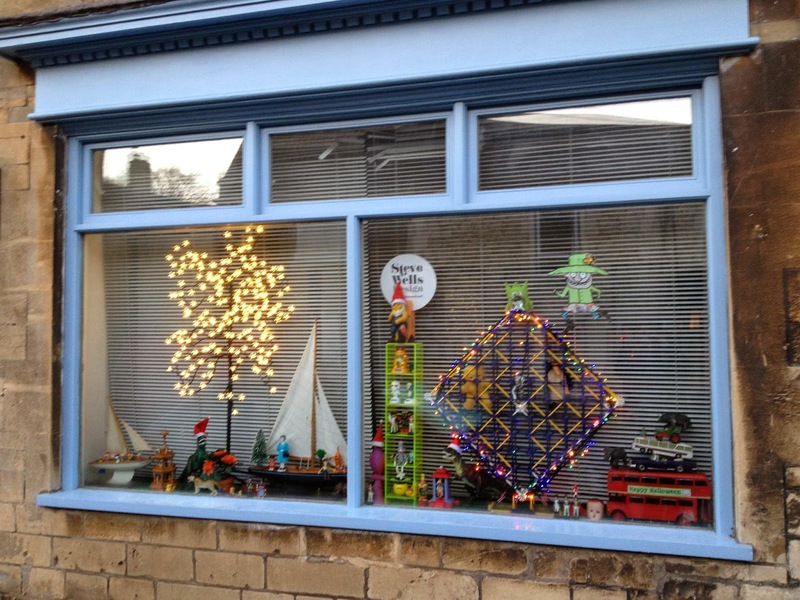 I share it as a co-operative with other freelancers, and this front window is kept permanently decorated with all sorts of toys and stuff by maestro cover designer and children's illustrator Steve Wells, for the delight of passing people. This is his Xmas display. Finland is the country that use its libraries the most. On average a Finnish family borrows a hundred library books a year between them. This could be valuable evidence of what Santa does in summer. 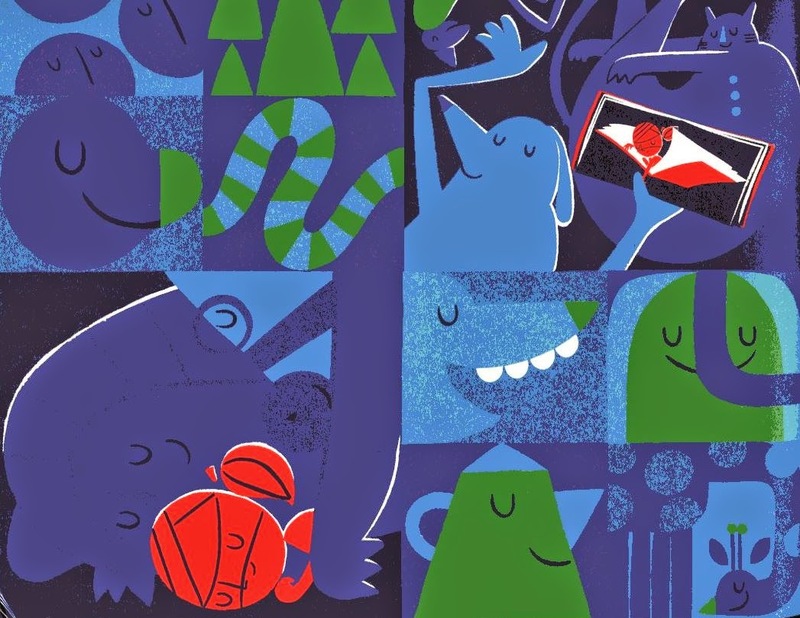 So long as a new Norwegian children’s book passes quality control, Arts Council Norway automatically buys 1,550 copies to distribute to libraries. The authors make an extra-high royalties on these books. Renowned Norwegian writers and artists receive a guaranteed income and are eligible for one to five-year work grants. No wonder Santa lives up north! I’m off! Until this morning Moira Butterfield was trying to work out how best to explain the British Iron Age to 7 yr-olds, was in the process of creating some pre-school board books for a major UK retailer, and was about to begin a series on children around the world. She also had a picture book in the works for 2015. However, she has just left to catch a plane to Norway, muttering about become one of Santa's in-house authors.